Set in 11th century Uppland, Sweden, This Stone is a text-based game about having a runestone made in memory of a loved one. Your choices, playing as the commissioner, determine the final text of the inscription. 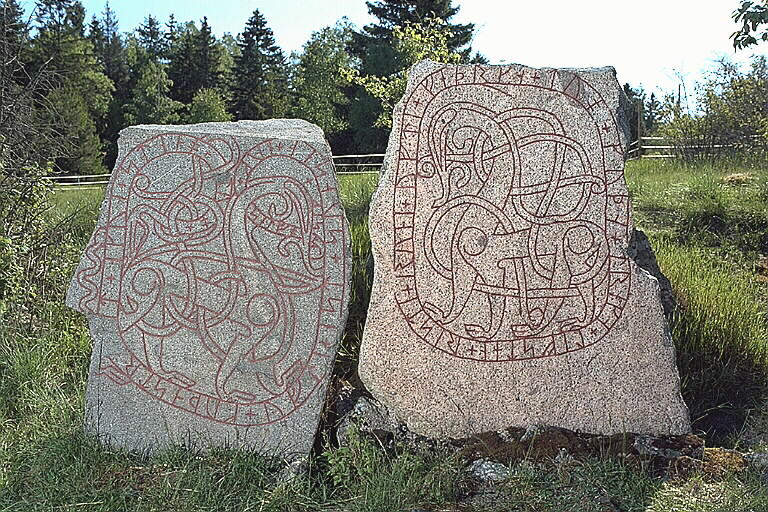 The game is illustrated with images from K-samsök, which also provides a random image of a runestone by your chosen carver alongside the generated inscription. The game is based on what we know about the making of runestones, along with some educated guesses. All names in the game are attested in Swedish runic inscriptions. Written in Twine by Maja Bäckvall with additional coding by Marcus Smith.